The winds in the Saronic Islands are generally from the south east. It offers great sailing without any significant swell, however it can be stronger than some are used to, so a previous flotilla or other sailing experience is a good idea before tackling this cruise. Having said that, the area is idyllic. After you arrive the lead crew will give you a short boat briefing before the main skippers briefing the following morning! 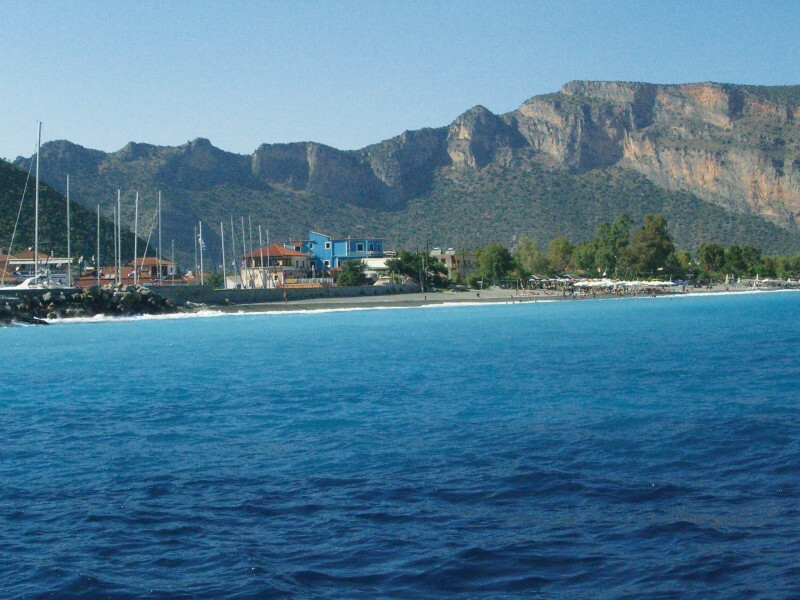 The first few days of the flotilla will be spent sailing south along the eastern coast of the Peloponnese visiting some of the most picturesque ports the coastline has to offer including Tiros, Plaka and Kyparissi. 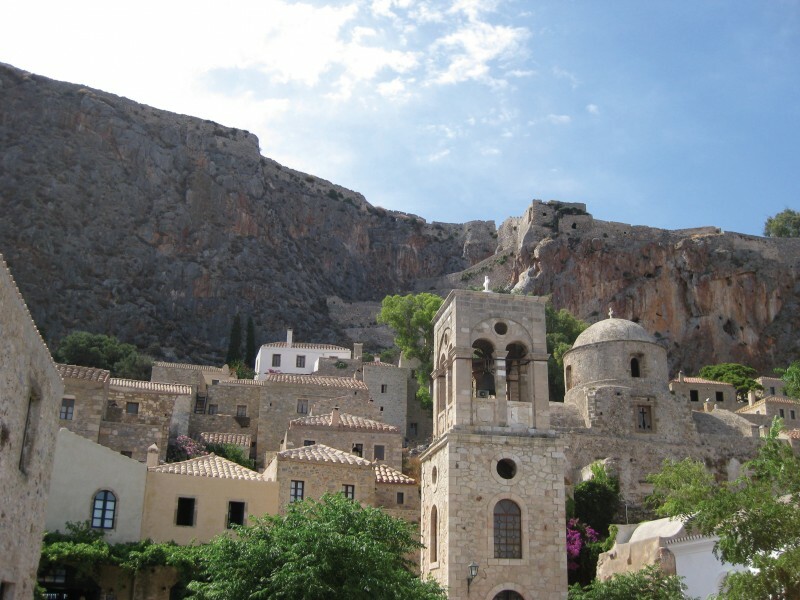 The flotilla may aim to visit the stunning port of Monemvasia (weather permitting!). Plaka is a beautiful small harbour in the Argolic Gulf. It is a very peaceful spot, with a long pebble beach and a harbour with crystal clear waters. It is a stop hard not to love. Tiros is a beautiful fishing village with a bustling promenade and market stalls. It is a completely loveable place with excellent shelter and friendly locals! Plaka is another small harbour in the Argolic Gulf that offers a peaceful spot with a pebble beach and crystal clear waters. If the weather is good the flotilla may try to have a couple of longer days to head down to Monemvasia before heading over to the islands. 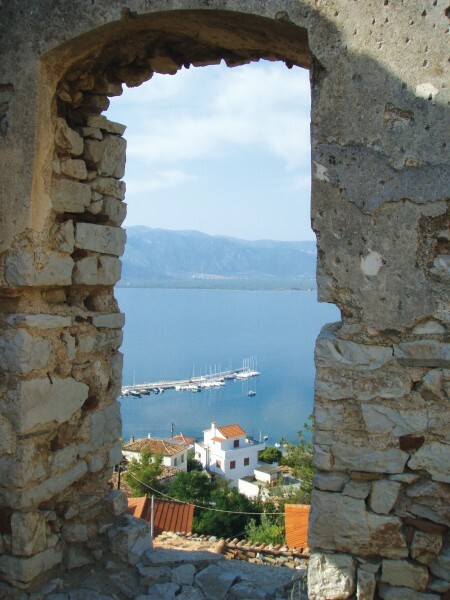 The second week will be spent heading up to explore the islands of Spetses, Hydra and the surrounding coast. Hydra is a beautifully picturesque harbour that has changed very little since the mid 19th century. There was no motorised transport on the island until very recently, instead there are mostly donkeys! It has a number of boutique shops and beautiful mansion houses, which subsequently attract throngs of tourists and celebrities. Dhokos Island is another popular spot where we often host flotilla beach parties in the large sheltered bay with spectacular sunsets. The last few days will be spent meandering along the eastern coastline of the Argolic Gulf visiting stunning ports such as Koiladhia. An overnight stop at anchor in Vivari is also not to be missed before returning to Astrous for a final meal with your fellow flotilla sailors. The first few days of the flotilla will be spent sailing east to the Islands of Agistri and Aegina as well as exploring the traditional fishing village of Vathi. Agkistri is the beautiful neighbouring island to Aegina. It is the smallest island in the Saronic Gulf and has managed to remain untouched by tourism. Yachts are the islands main visitors. There are sandy beaches only a short walk from the harbour along with some of the beautiful hidden bays that can be reached by yacht. Aegina is a fascinating island located half way between Athens and the Pelopennese. Aegina is also the location of the spectacular Temple of Perdika which is one of the best preserved temples of any Greek Islands. There are two amazing anchorages on the island: Aegina and Perdika, along with the large bay of Marathonas between the two. The second week will be spent wending your way south via the island of Poros before heading down to explore the islands of Spetses, Hydra and the surrounding coast. 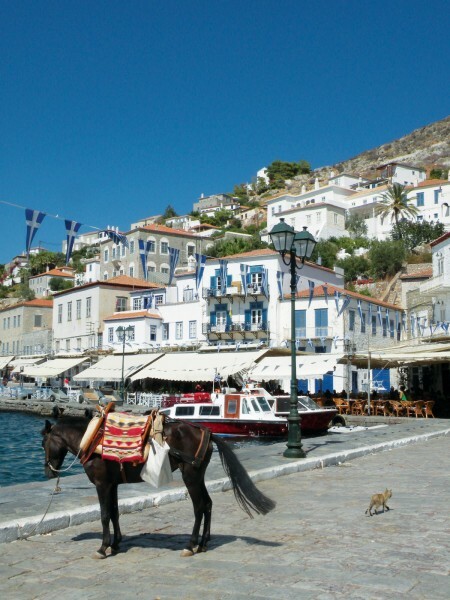 Hydra is a beautifully picturesque harbour that has changed very little since the mid 19th century. There was no motorised transport on the island, until very recently, instead there are mostly donkeys! It has a number of boutique shops and beautiful mansion houses, which subsequently attract throngs of tourists and celebrities. Tiros is a beautiful fishing village with a bustling promenade and market stalls. It is a completely loveable place with excellent shelter and friendly locals! The last few days will be spent meandering along the eastern coastline of the Argolic Gulf visiting stunning ports such as Koiladhia. An overnight stop at anchor in Vivari is also a stop not to be missed before returning to Astrous for a final night meal with your fellow flotilla sailors. Our more adventurous Saronic flotilla starts in Astrous which is a small, stunning fishing village with excellent tavernas and friendly locals. This version of the flotilla is a slight variation on the normal route at the boats will be finishing in Epidavros, ready to head through the Corinth Canal, and back to our winter base at Corfu. This one way itinerary has been popular with flotilla sailors for a number of years. The first few days of the flotilla will be spent sailing south along the eastern coast of the Peloponnese visiting some of the most picturesque ports the coastline has to offer including Tiros, Plaka and Kyparissi. If the weather is good the flotilla may try to have a couple of longer days to head down to Monemvasia before heading over to the islands. However, please bear in mind that this is weather permitting and may be difficult at this time of year. In contrast to the wonderfully quiet village harbours of the Argolic Gulf the buzzing town of Poros offers a truly Greek atmosphere among the quayside and backstreet tavernas that cannot be beaten. Sunset at Poros over the 'sleeping lady' is a site not to be missed. The last few days of the flotilla will be spent sailing east to the Islands of Agistri and Aegina as well as exploring the traditional fishing village of Vathi. The final night will be spent in Epidavros where you can explore the famous amphitheatre, or simply anchor off in the bay for a lazy lunch and swim, before a final night meal with your fellow sailors at one of the quayside tavernas. Excellent service from start to finish, wonderful lead crew. 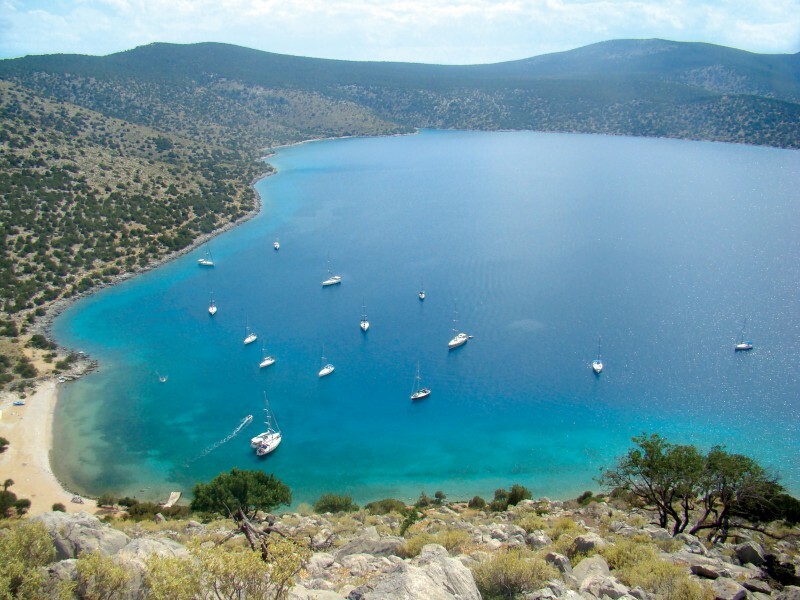 We had a 1 week charter around the Saronic Islands, with a skipper provided by Sailingholidays. This was undoubtedly the most relaxing holiday we have had in many years, thoroughly enjoyed by all, and exceeded our expectations. Our skipper, Simon Spencer, was just brilliant, finding out what everyone wanted from the trip, and guiding us in planning the route accordingly. He took all the stress out of the trip for us, and got on well with everyone in our group. There were a few minor issues with the yacht, but nothing that was a big enough problem to detract from enjoying the holiday to the full. Thank you for this awesome holiday, we can't wait to start planning our next one! We recently completed a 2 week holiday in the Saronic region and the lead crew could not have been more helpful to myself or my family. we have been on a number of flotilla holidays and have returned to sailing holiday because of their relaxed manner, the lead crew on this years trip were a credit to the company, they were helpful courteous and really helpful. We have sailed with Sailing Holidays for many, many years. The holidays are pure escapism. Somebody gives you a yacht in the Greek Islands, wall to wall sunshine, pretty unspoilt harbours and tavernas, a great lead crew, a great atmosphere from the other sailors and great sailing. Then throw in a few turtles and dolphins for good measure!! Efficient booking, plenty of pre-holiday guidance, well managed travel arrangements, sound boats, superb lead crew(s), good sailing - all with Greek sunshine and hospitality. Really good service from the sailing holidays team , the lead boat crew were great and very helpful. Our boat the beneteau 40 was excellent for 4 adults and sailed really well. The sailing route : Saronic isles was fantastic and sailing from Epidavros to Navplion was much better than the route we did last year ,Epidavros then back to Epidavros though that was very enjoyable too. We would recommend Sailing holidays and we will most definitely sail with them again. They create a very relaxed atmosphere with very little pressure . We have been on quite a few flotilla holidays with another company and must say that we are very impressed with the Sailing Holidays boats, lead crews and routes. Also using scheduled airlines helps to get the holiday off to a good start, Aegean airlines were really comfortable, plenty of leg room and good service. Always a great experience holidaying with Sailing Holidays. Our flotilla route in the Saronic Islands was extremely good with visits to Hydra and Monemvasia, so good in fact that we have booked the same flotilla route for next year. The lead crew were also excellent and nothing was too much much trouble so even though you had your own space and time you knew help wasn't far away if you needed it. Once again the humour and relaxed chilled out approach by the lead crew have secured a future booking from us. Absolutely amazing holiday! Loved Monemvasia, lots of wind so great sailing. Brilliant Lead Crew on Lead Boat Delphi to top it off. The best sailing holiday so far. The trip to Monemvasia was spectacular. Crew were helpful and courteous and made it a great adventure, even when we crossed anchors. Idra has to be seen to be believed. I'm writing to you on behalf of my wife regarding our recent vacation with sailing holidays on the adventurous flotilla Saronic Islands on the 5th July 2015. I would just like to make a few points on the holiday, this was the best holiday my wife and I have ever been on... We thoroughly enjoyed every moment and aspect of the holiday, every destination was beautiful and unique in itself. However I need to compliment your staff also from those that answer the phones and emails, to those that supported the flotilla on the ground (or sea as to speak). I'd like to mention specifically the Lead Crew on Delphi - Your team on Dephi worked so hard to ensure everyone enjoyed their sailing holiday. Aaron, Alice & Sam worked tirelessly to resolve any issues big or small, with no stress, no hassle, we witnessed them on many occasions going the extra mile in their own time in evenings etc. Aaron for his expertise, hard graft, passage knowledge and excellent seamanship skills, Alice for her ability to plan, coordinate and problem solving all issues whilst always smiling no matter what, Sam for his technical knowledge in round all the boats, his can-do attitude and his sense or urgency. These guys really made the difference between a good holiday and a great holiday. I'd also like to mention just how great Mike (Fluffy) was. His fun and charismatic personality made everyone feel relaxed from the moment we got off the plane, til we got back on it! Nothing was too much trouble for him... Kids and Adults enjoyed his humour and professionalism. He although wasn't directly on the flotilla... still made an impact supporting the group... There is no doubt in my mind that he rightly suited to that role. So on behalf of my wife and I... I'd like to thank you once again for our first ever sailing holiday... But also for the best holiday. Your team truly are great ambassadors for your organisation and nothing could have been any more perfect that our 2 weeks sailing in Greece with you guys. Aaron, Alice and Sam were brilliant! They made an already great holiday totally fantastic. Their local knowledge, sailing knowledge and mooring skills were first rate. They were calm, informative and created a perfect vibe for fun days and wonderful sailing. Please pass on our thanks to the top notch team!